Andrew Bain is a dentist who works at Kings Road Dental Clinic – one of Beaufort House’s Member Partners. However this unusual dentist is not only dedicated to helping his patients smile, but has pledged to use his talents to raise money for charity. Outside dentistry, he has also worked as a professional singer in both West End musicals and in opera. His singing career has taken him all over the world. In 2008 he signed a record deal with SonyBMG and was marketed as ‘The Singing Dentist’, performing live on GMTV, BBC Breakfast, on local and national radio stations and even on the main stage at Bestival. Last year Andrew raised over £6,000 for the charity in a single concert and now – with the support of Kings Road Dental Clinic (part of Harley Street Dental Group) and the Sloane Stanley Estate – which owns and manages many of the properties in the area – he is bringing bring ‘Love, Loss and Passion’ to Chelsea. 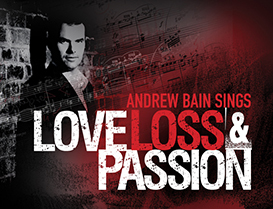 The Love Loss and Passion concert will be staged on Thursday 5th September 2013 at Chelsea Old Town Hall on Kings Road at 7.30pm. The concert will feature opera and musical theatre pieces sung by Andrew Bain and a guest soprano. They will be accompanied by a 6-piece chamber orchestra led by Bernie Lafontaine. The music will explore matters of the heart through song and will include opera and musical theatre favourites from La Boheme, Tosca, Rigoletto, West Side Story and many others. Concert goers will be able to buy refreshments supplied by Beaufort House, and we are donating all profits to the charities and there will also be an auction – hosted by actor Peter Settelen – to help raise additional funds for the two good causes being supported by the concert. There are only 400 tickets available for the concert and they cost £30 each, with the full proceeds going to the two charities. More information and tickets can be obtained from www.lovelosspassion.com or by calling 020 7351 1685.